PTS coaches are able to determine imbalances in strength and flexibility that could make an athlete more susceptible to injury. These determinations are gathered from our in-depth evaluation system. Once these imbalances have been found, we implement corrective exercises that help to provide a better sense of structural balance and joint integrity which considerably decreases the potential for injury. At PTS we have a Certified Athletic Trainer (ATC) on staff and our coaches are extremely well versed in designing a program to rehabilitate athletic and orthopedic injuries. We believe that an effective rehabilitative program focuses on treating the root cause of the problem and not just fixing the symptoms. Through the use of our state of the art evaluation system we will be able to determine what the underlying cause of your injury may be. 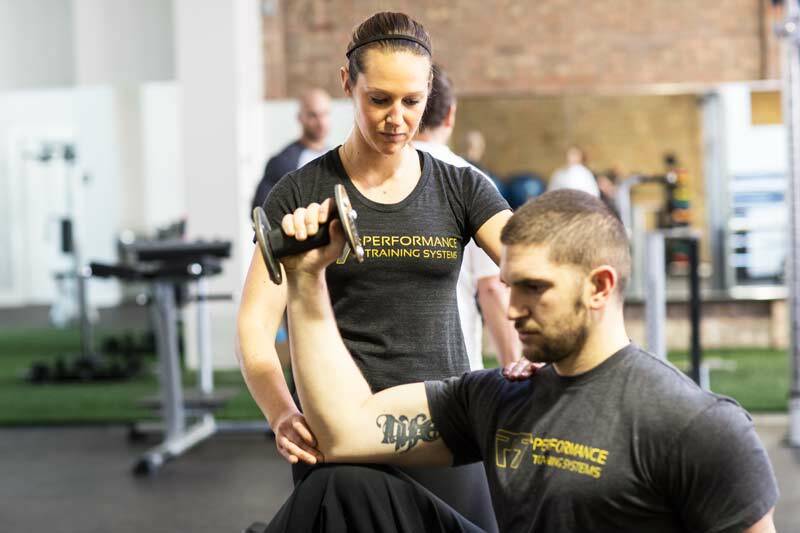 By incorporating proper strengthening, mobility work and soft tissue treatments our coaches will give you the best possible chance at healing your injury, while also limiting your susceptibility to any further injuries.